Just talking about living green isn't enough. It's time we all started doing it! These unique return address labels from CheckAdvantage are a reminder to you and everyone on your mailing list that we need to start thinking about the future of our planet. 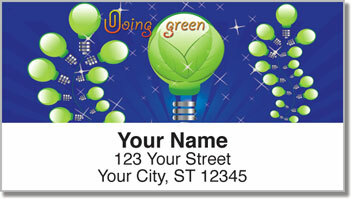 Green light bulbs featured on this design will inspire you to keep an open mind to new ideas about using energy and saving the Earth. 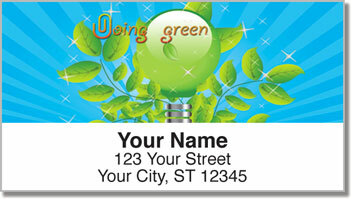 Doing Green Address Labels are a great choice for everyone - not just environmentalists. You'll find you save time and effort preparing outgoing mail. 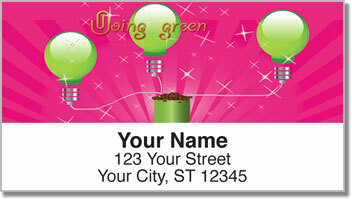 You can also use them to label many other items with your name and address. 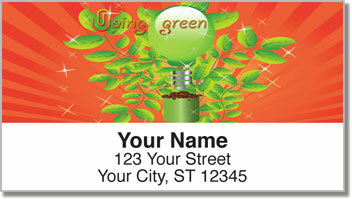 Order your very own Doing Green Address Labels today! They're also available as matching personal checks.